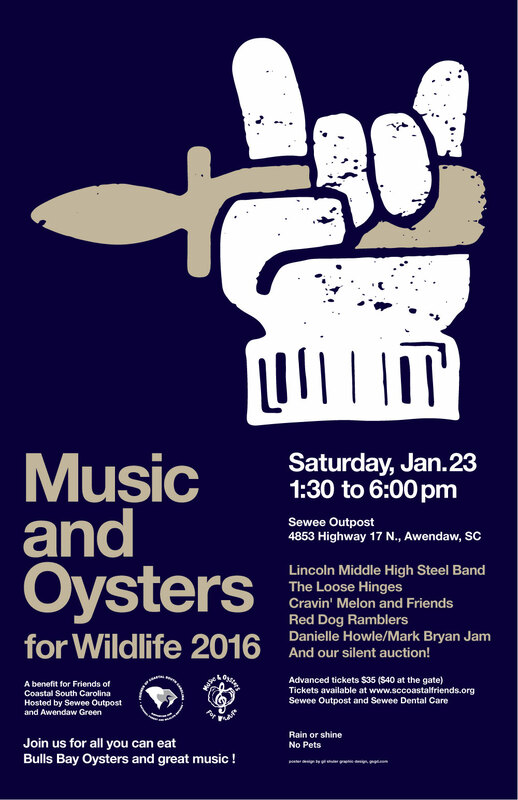 coming up on jan. 23 is the annual music and oysters for wildlife 2016. this is a great event benefitting Friends of Coastal SC. so get some tickets, your oyster knives and dancing shoes and get ready for a large time. hell yeah!